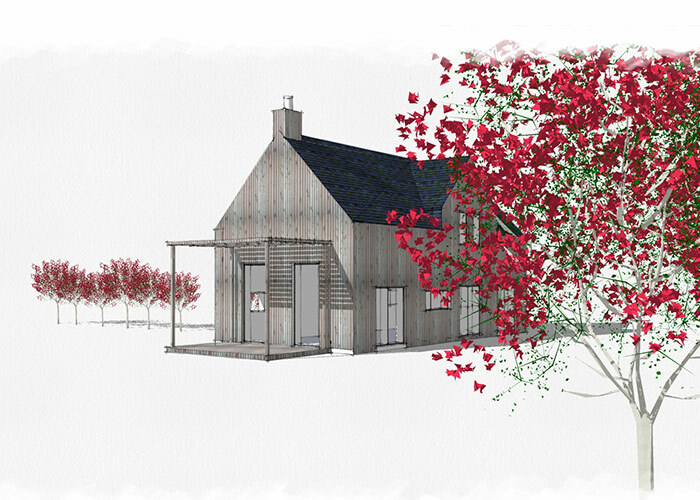 Located on a rural site a few miles from The Moray Coast at Rafford, this house is a fresh take on the traditional farmhouse typology. 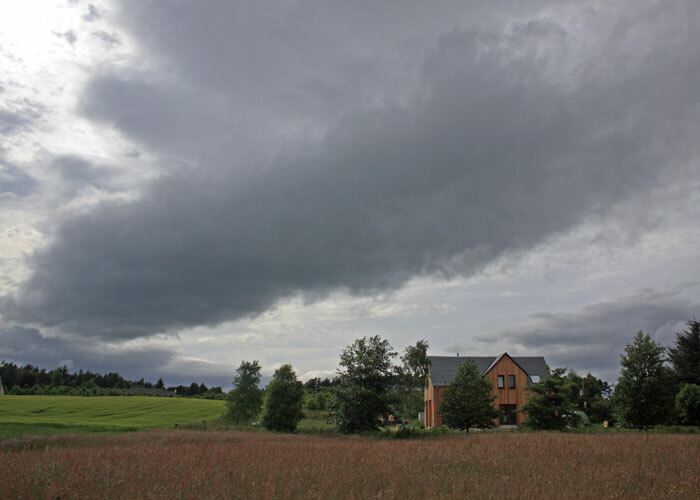 Designed to reflect the massing and materials of the local vernacular buildings, it opens up for modern living to the light and views across the surrounding farmland. The layout is compact yet feels light and spacious due to the long views and large volumes inside the home. The double height sitting room opens on to the kitchen and dining room with a seating area above. 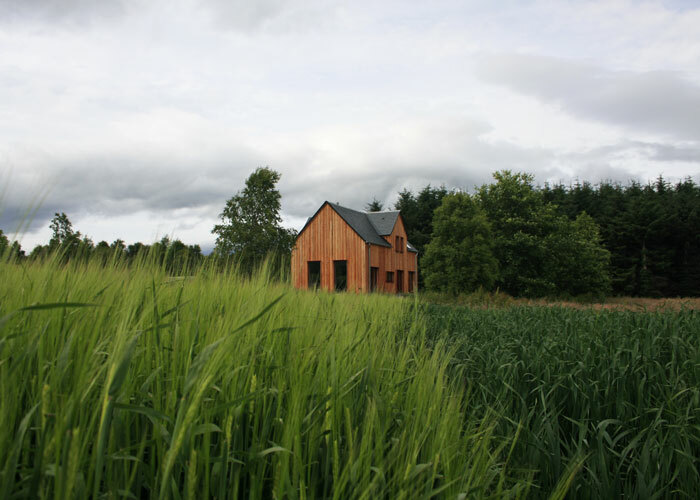 Window size and orientation was carefully designed so that the special quality of light in northern Scotland can be enjoyed as it changes through the seasons. 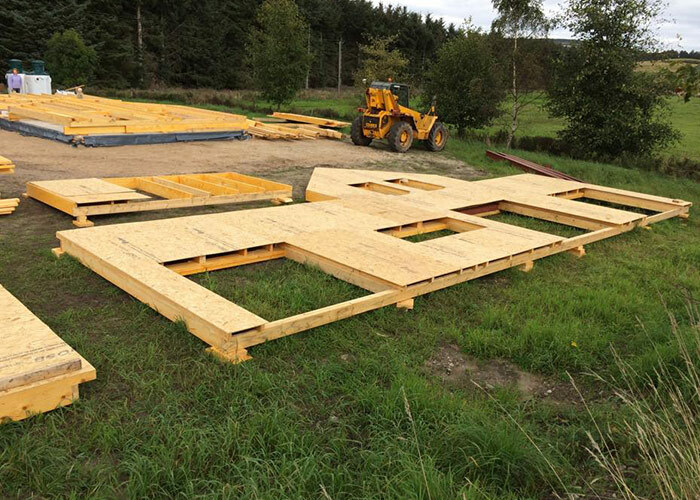 It has been designed with Passivhaus rigour and meets the AECB Silver Standard. This gives great comfort and tiny energy bills. Materials were chosen to minimise environmental impact, tie in with the colours of the landscape, give excellent performance and to reduce or eliminate the use of toxic materials. 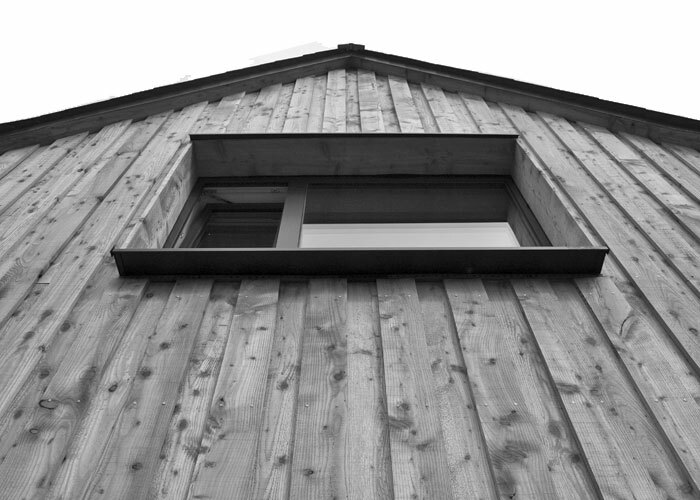 The house has been built from, clad in and is powered by wood. 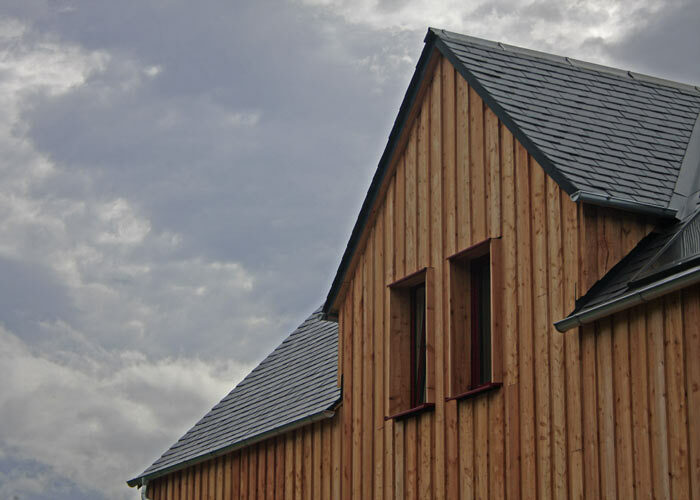 The cladding and fuel are Scottish timber with the cladding grown, felled and milled a mile or so up the road. 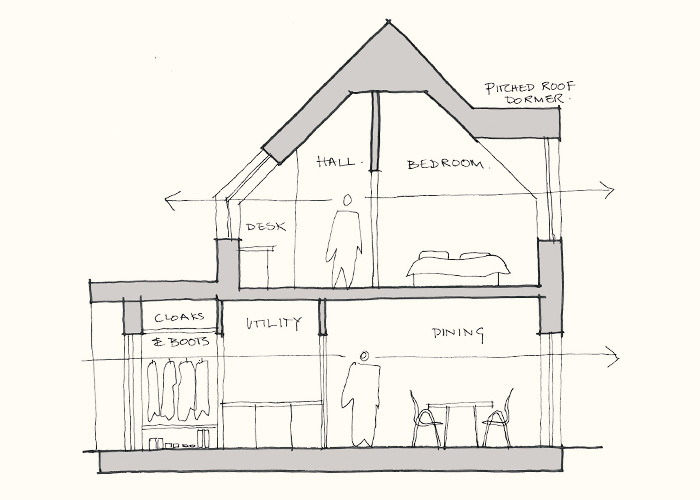 Design and site visits were not all paper and drawings – we took the opportunity to draw out the house plan at full scale on site with the Clients – and enjoyed walking around ‘the house’ – Kirsty was welcomed at the front door before being invited in for a coffee. 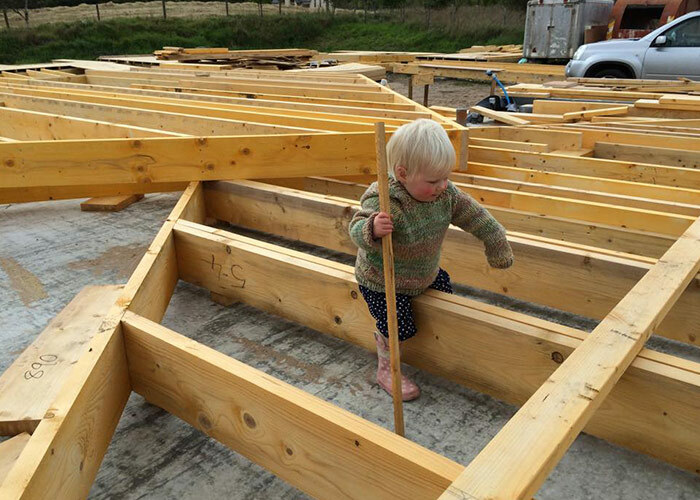 And whilst on site, the smallest member of the design team took a hands on role. Construction photos © Clients. See more on their Blog.